This FX strategy is designed to work on trending markets but includes a protective filter and strategy for when the trend stalls. 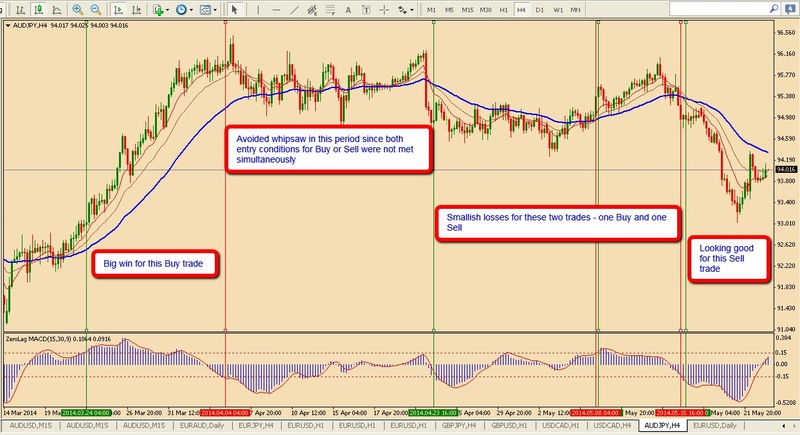 If you like trading the AUDJPY you may find this strategy of interest to you. I have developed it for use on the 4 hour timeframe. It incorporates a triple Moving Average (MA) with a zerolagMACD filter to help us through the ranging sessions to avoid too much whipsaw. Markets move from trending to ranging without ringing any bells to let you know. That’s why you always need to protect your profits with a filter, or stop trading, to get you through these periods with a minimum of loss. For this strategy I prefer to use a zerolag MACD filter rather than stopping and starting my trading. Enter a trade when EMA 10 crosses EMA 45 (crosses up for a Buy and crosses down for a Sell AND zlMACD histogram is above 0.15 for a Buy and below -0.15 for a Sell. Exit the trade when zlMACD histogram crosses back across the opposite level to the one that it entered on. So exit the Buy when zlMACD histogram crosses below -0.15; and exit a Sell when zlMACD crosses above +0.15. Alternatively, exit the trade when EMA 10 crosses EMA 20 in the reverse direction to the trade – this works a bit like a trailing stop and you could tighten it to 15 or 12 EMA once you are in a trend. The partial closure settings are conservative and so if you are confident that you have entered a strong trend, you may want to reduce the partial close to 50% and/or wait till say 100 pips before partial closing. In the chart below the indicators for this strategy have been included onto a 4 hour chart of AUDJPY. I have highlighted the trade entries with vertical green lines and trade exits with vertical red lines. The commentary on the chart demonstrates what would have happened over this period in 2014. In particular it shows how the combination of triple MAs with the zlMACD filter kept us out of a fairly tight ranging period for half of the time and kept our losses relatively small for the remainder of the ranging period. 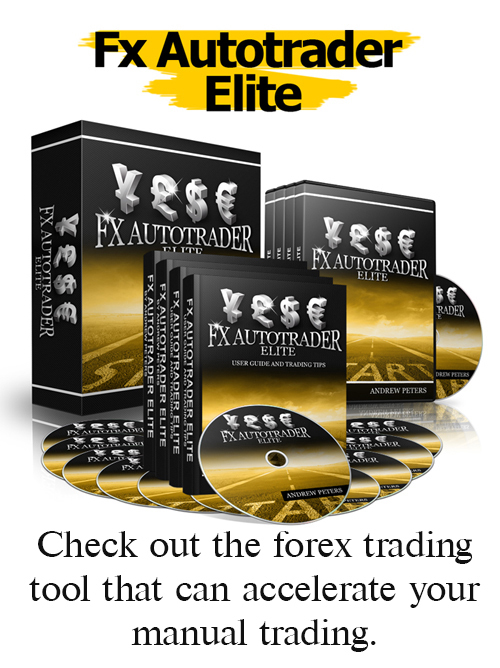 For the completed trades shown from 24 March to 23 May, the net result is a nice profit of just over 300 pips.